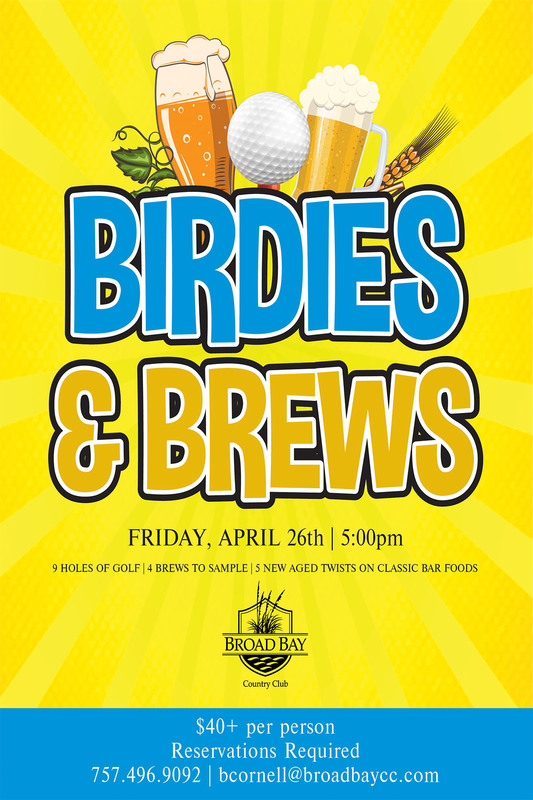 Friday, April 26th, visit the Club for Birdies and Brew! For only $40 per person, Broad Bay Members and Guest will take to the Course to enjoy 9-Holes of Golf. Each Hole will feature either a Refreshing Hand Picked Ice Cold Beer Sampling, or a Delicious Twist on Classic Bar Foods. Make your reservations today by calling the Golf-Shop at (757) 496-9090 or email bcornell@broadbaycc.com.